UNREAL. Sebelius Says "Absolutely No Evidence That Part-Time Work Is Going Up"
Last night Health and Human Services Secretary Kathleen Sebelius went on The Daily Show with Jon Stewart over the widespread glitches in signing up for Obamacare. 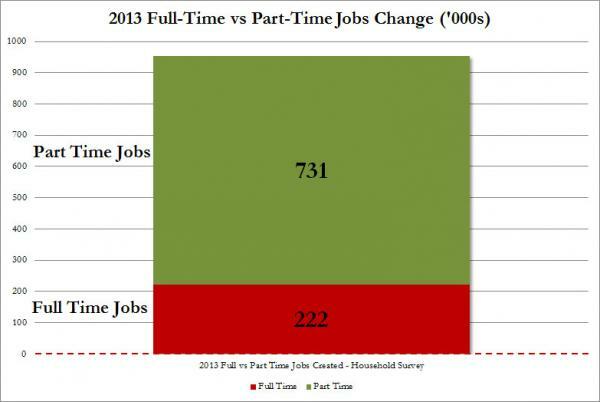 During the interview Sebelius claimed there “was “absolutely no evidence” that part-time work is going up. Later, while addressing the issue of businesses cutting back hours for employees to avoid having to provide health care under the new regulations, Sebelius held firm. “Economists, not anecdotal folks, but economists, say there is absolutely no evidence that part-time work is going up. In fact, it’s going down,” she said. The secretary also said that for the first time ever, part-time employees in the United Sates would now have the option to purchase health insurance under the new law. 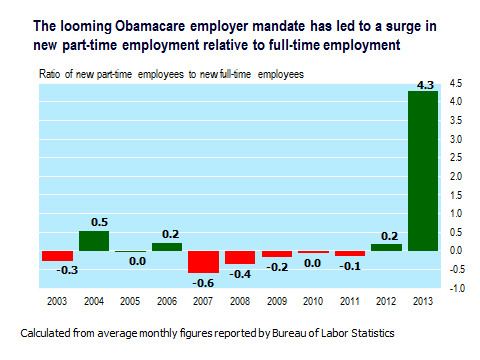 But, Sebelius says part-time work is not going up.